Life is messy. I can attest to that. It is good to know that we are not alone in it; that God is with us in the mess. The mess of fires, the mess of flooding, the mess of homelessness, the mess of a hurting world. God is with us. You may remember the call of Gideon (Judges 6:11-18). Gideon was a man who began his day as a farmer; some may even say he was a bit sneaky, figuring out a way to fight the system and keep his wheat from being taken. He was in a bit of a mess himself. He saw himself as an insignificant man, the least of these, a member of the weakest of clans. But this is when the Angel of the Lord steps in and reminds him, “The Lord is with you, you mighty warrior.” I like the NIV version of Gideon’s response; he says, “pardon me, my Lord.” I imagine that sounding like, Excuse me? What? Me? Gideon didn’t see his strength, his ability, or his potential, but God did. And again, the Lord answered, “I will be with you.” Alone we are a mess, but with the Lord, we are a part of the Kingdom of God. At the end of the day, Gideon was lifted up to be a general in the army, with God by his side. This is one example of many, where God shows up and is in the trenches with us. The stories of Esther and Mary come to mind. People who were living regular lives until God reminds them that they are needed to fill bigger shoes. It is in the trust of God’s promises that get them through and give them the confidence to be what we, the people of God, need them to be. As we, the South Dakota Synod, discern the Office of Bishop and who might be lifted up to serve in that call, you might see yourself somewhere in Gideon’s story. You might be among those who are worrying about your daily bread; fighting to put food on the table and feed your family. Your name may have been identified as a potential candidate for the Office of Bishop and you might be curious about what God is up to in your life. In both cases, you are not alone. God sees us as mighty warriors before we can see it ourselves. As we look to the future of our churches and the future of our families gathering around the Word of God, we come to this juncture with trust that God will be with us in it. Messy or not. Exactly where we are called to be. Glory to God! Dear Heavenly Father, We thank you for the gift of today. We thank you for the path you have put in front of us, whether messy or not. 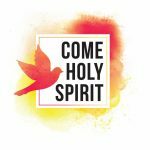 We pray that your Holy Spirit will descend upon us and walk with us on this path. We ask for clear minds, open hearts, and love for our neighbors; those who might walk a different path than ours. In Your name we pray, Amen.